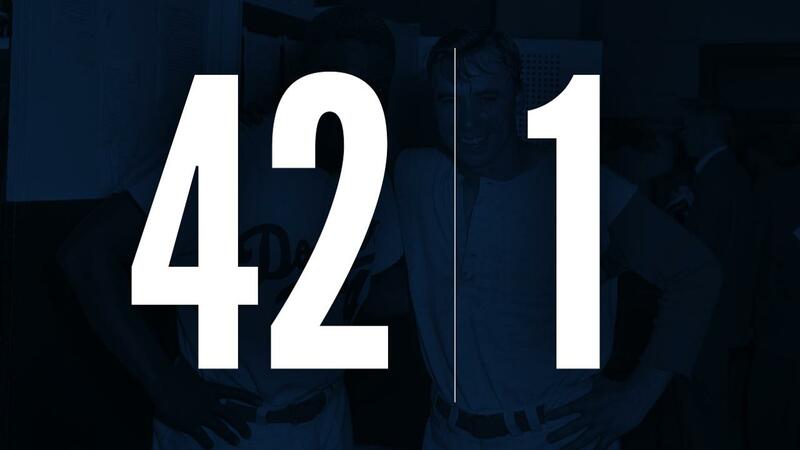 LOUISVILLE, Ky. - The Louisville Bats will retire the jersey numbers of Harold "Pee Wee" Reese (#1) and Jackie Robinson (#42) in a special pregame ceremony on Saturday, July 28. Pregame ceremonies will begin at approximately 6:00 PM. Reese was born in Ekron, Kentucky and was raised in Louisville. He played 16 MLB seasons (1940-42, 1946-58), all for the Brooklyn and Los Angeles Dodgers. Reese was a 10-time All-Star, 2x World Series champion and was inducted into the National Baseball Hall of Fame in 1984 by a veteran's committee. Reese played 287 games for the Louisville Colonels in two seasons from 1938-39, his first two seasons as a professional. Robinson and Reese were teammates for 10 seasons (1947-56) on the Brooklyn Dodgers. Robinson broke the color barrier in Major League Baseball on April 15, 1947. He was named to 6 All-Star teams, earned one World Series championship, won MLB Rookie of the Year in 1947 and won National League Most Valuable Player honors in 1949. Robinson was voted into the National Baseball Hall of Fame in 1962, his first year on the ballot. The Louisville Bats will play as the Louisville Colonels as part of "Throwback Weekend" on Friday, July 27 and Saturday, July 28, wearing throwback uniforms, commemorating Louisville's minor league baseball team from 1901-1962 and 1968-72. In addition, fans can enjoy a special Colonels Throwback Hat Giveaway (1st 2,000 on Friday, July 27) and a Pee Wee Reese Replica Statue Giveaway (1st 2,000 on Saturday, July 28). The game-worn Colonels jerseys will be auctioned off starting Wednesday, August 1 through Wednesday, August 8, with proceeds benefitting the Crusade for Children. To bid on a jersey, please click here.